Due to the rise of the gig economy, people are on the lookout for part-time jobs to complement their current salary. Even before Uber and Lyft, both of which are ridesharing apps that provide people with cars to make extra income, blogging has given everybody with online connections a platform to earn more. In fact, some people have made a living as a blogger and never looked back! However, if you’re happy with your full-time job and want to make additional money or if you already have an existing blog laying around, then below are ways that you can turn your blog into a money-making machine with little or no effort. If you have the penchant for the written word, then you might want to consider writing an ebook to share your knowledge on your passion or profession. If you have something unique to say that hasn’t been mentioned yet by your peers, publishing an ebook about it and selling it to your target audience is a very good idea. By filling out the information gap with your ebook, not only will you attract more buyers but also position yourself as an industry expert, which you could leverage in the future once you decide on writing more ebooks. For more information on how to write ebooks and profit from them, read this comprehensive post by Glenn Allsop of ViperChill. The article may be dated, but the details remain relevant even today. If you want to cover a particular topic in more precise details, then you should build an e-course instead. Instead of just handing them a digital copy of your guide (like you would with an ebook), an e-course includes videos, quizzes, and additional resources to help aid them in their learning. For examples, you can check out the blogging courses at Udemy, which is a platform where you can create e-courses to sell and share your knowledge. There are other sites where you can create and publish your e-courses, the popular ones of which are featured in this post. However, you may want to host your e-course on your blog to cut costs and keep all the traffic you receive to yourself. 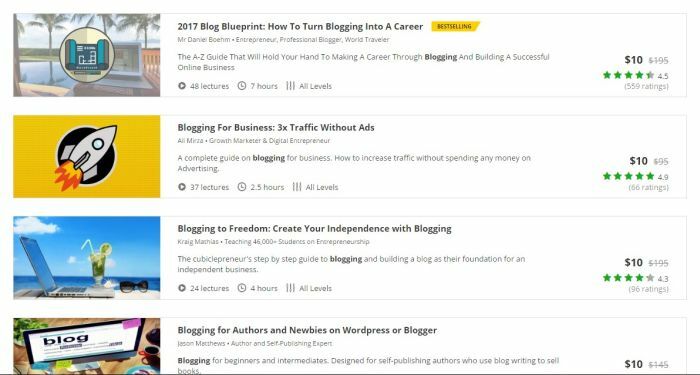 If you are running your blog on WordPress, then you should choose any of the e-course plugins featured in this CreativeMinds post. You should also want to use any of the WordPress hosting services in this article so your blog can withdraw a surge of traffic if and when it attracts lots of attention. Once you have published an e-course, use your blog to promote your e-course. By successfully attracting traffic through your promotions strategy, you can expect visitors to become students of your e-course. If you want to sell physical goods through your blog, then you might as well create an online marketplace portal from it. Instead of supplying your target readers with information with the posts you publish, you can benefit more financially if you sell related products to your blogging niche. Setting up an online shop can take a toll on the technologically-challenge, which makes the option of building your site on Shopify a much more attractive choice. By signing up for a 30-day free trial, you can build an eCommerce site in minutes. Choose a theme, add your products, manage your inventory, and support multiple payment options. Best of all, Shopify has a blogging platform so you can create content from your Shopify store to keep all your data in one place and make it easier for you. If you don’t have time to build a product from the ground up, you can only join affiliate programs related to your niche and take a cut from every successful product you sell from your blog. One of the most popular affiliate programs in the world is Amazon Associates. A lot of sites have earned thousands of dollars from the online marketplace throughout the years. One of them is Rohit Palit, who authored arguably the most all-inclusive post I have read on this topic. He takes the time to discuss how to build your blog and how to execute your plan to perfection using different tools and strategies. If Amazon doesn’t carry the products you’re looking to sell, then you should hop on to other affiliate sites and see what products they’re carrying. If you already have an established blog with a high domain authority and lots of social media followers, you can benefit from your blog’s good fortunes by offering sponsored posting to brands and businesses. 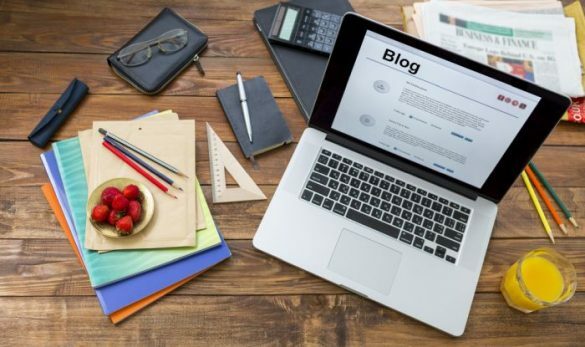 To extend their reach further to their audience, businesses partner up with influential bloggers such as yourself to help spread their message by publishing content on their blog. In exchange, companies will pay you to publish the post. The more followers you have on social media and the greater blog traffic you receive every month, the higher price you can command. Sponsored posts are similar to guest posts in such a way that a third party will provide the content that will be published on your blog. The different between the two, however, is that you get paid when someone wants to submit content under your sponsored posts program. The reason for this is because all sponsored posts are commercial in nature, which means that the advertiser is promoting his or her site/product on the content. Also, you must reveal to readers that the post is sponsored by someone and you need to tag the links point to their business as nofollow. To learn more about sponsored posts and how to set your pricing, read this post by Allison Boyer. From the examples featured above, blogging is the perfect side hustle in the current landscape of the job market. In fact, if you do everything correctly, you can turn blogging into a full-time venture and rake in higher profits this way! At the same time, you need to put in the work to reap its benefits, as the gig economy suggests.